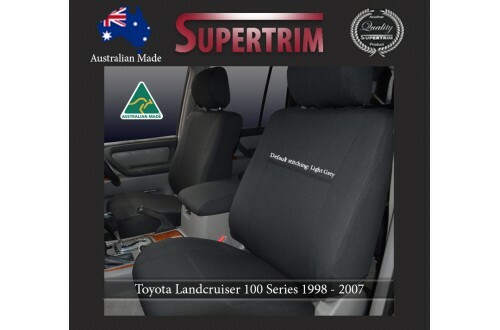 This listing is for 2 Front bucket seat covers (Airbag safe, FREE headrest covers included). 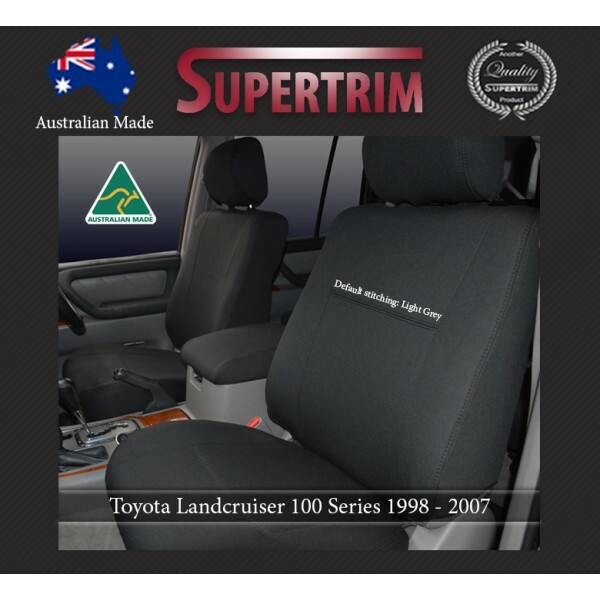 "Hello, purchased a full set of your neoprene covers for my 200 cruiser - BEST EVER, ... Now have a new hilux 2019 double car sr5, would like a price to purchase and send to NZ." • The standard rear design covers up the armrest/cup holder (if any), making it inoperable. However, customers can request a zipped armrest cutout so the armrest/cup holder can still be used (the armrest itself is not covered in most models as the thickness of material would make a cover too bulky to push back into the recess in the seat).